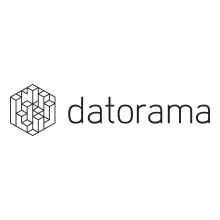 Datorama is a global technology company providing the leading Marketing Intelligence solution for data-driven enterprises, agencies, publishers, and platforms. Datorama’s artificial intelligence- (AI) powered, Software-as-a-Service (SaaS) platform gives marketers the ability to centralize all of their data into one single source of truth. This automates reporting across channels and campaigns and provides marketers with a seamless, always-on optimization capability across every performance, impact, and customer loyalty key performance indicator (KPI). Datorama’s best-in-breed combination of end-to-end data management, data visualization, automated insights, and activations empower marketers to become an engine of growth for their respective business. Datorama powers Marketing Intelligence for thousands of cutting-edge marketing organizations, including: IBM, L’Oreal, Ticketmaster, PepsiCo, Pernod Ricard, Foursquare, Publicis Media and others. Datorama was recently named to the 2017 Deloitte Technology Fast 500 as the 35th fastest growing company in North America and was identified as a 2016 Gartner Cool Vendor in Data-driven Marketing. To learn more about Datorama, please visit: https://datorama.com/.